Located in Northern California, south of Siskiyou County (which actually contains Mount Shasta), Shasta County has evergreen forests, beautiful lakes and rivers, and wild mountains. 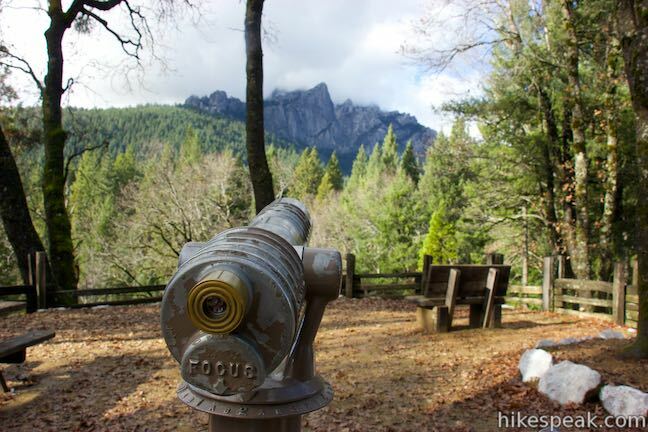 Most of the trails listed here located in Castle Crags State Park at the north end of Shasta County. In Shasta-Trinity National Forest south of the state park, Shasta Lake offers additional hiking and camping. This 5.6-mile round trip hike in Castle Crags State Park ascends 2,150-feet through a garden of granite crags to the base of Castle Dome. This hike can be extended to 6 miles round trip by taking a worthy side trail to Indian Springs. Campgrounds can also be found through Shasta County, convenient to hiking trails and other outdoor recreation. This well-shaded 59-site campground has level sites on a bluff next to Shasta Lake.